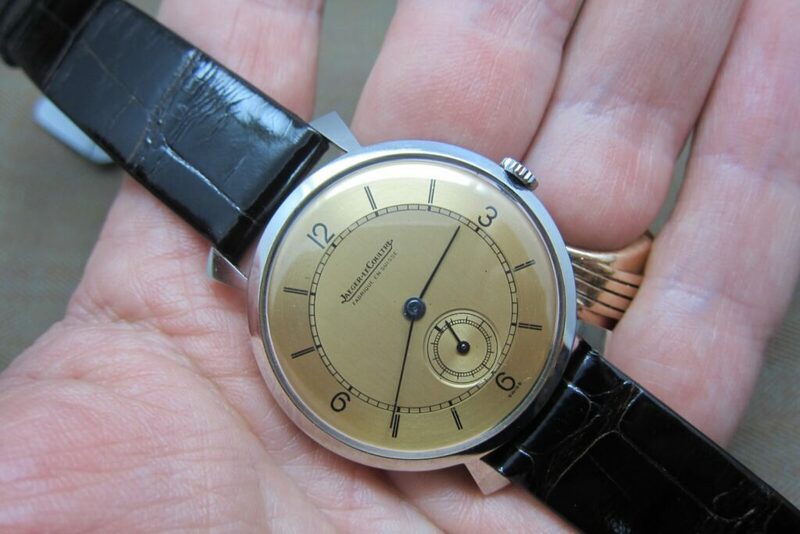 A super crisp condition JLC dress watch from the late 40s early 50s with a striking salmon color dial as perfect as possible. The fancy lugs case is sharp and well defined, measuring 33mm in diameter but appearing wider given the thinness of the case. The salmon dial with sub seconds at 6 is incredibly attractive and void of defects. The caseback has deep and crisp serial number engraving. The manual wind movement is running fine and appears to be untouched. All in all a fantastic collectible and a pleasure to wear on the wrist.